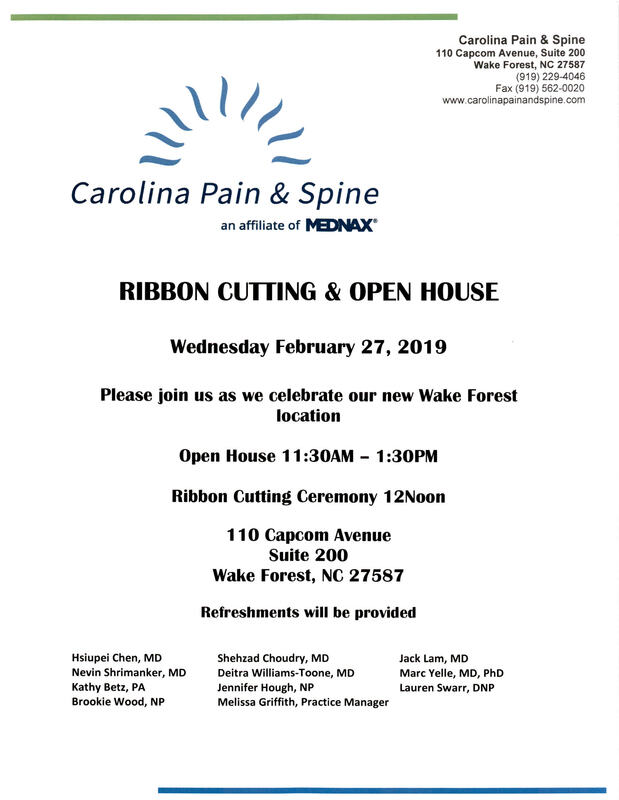 Carolina Pain and Spine is excited to annouce their Grand Opening with a Ribbon Cutting! We will cut the big red ribbon at noon! There will be snacks and beverages so come along and help us welcome this new business to Wake Forest! 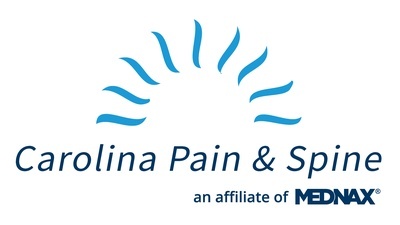 Carolina Pain and Spine is a multidisciplinary practice specializing in the diagnosis and treatment of acute and chronic pain. They incorporate medication management, interventional procedures and other treatment modalities including physical therapy, massage, acupuncture, bracing, etc in order to provide state of the art medical care to our patients.